Yaitu Kesimpulan akhir dari sebuah cerita. Once upon a time, there was a little poor boy came into a little village. He was very hungry and weak. He knocked at every door and asked for some food, but nobody cared about him. Nobody wanted to help the little boy. Finally, a generous woman helped him. She gave him shelter and a meal. When the boy wanted to leave, this old woman gave him a “lesung”, a big wooden mortar for pounding rice. She reminded him, “please remember, if there is a flood you must save yourself. Use this “lesung” as a boat”. The “lesung” was happy and thanked the old woman.The little boy continued his journey. While he was passing through the village, he saw many people gathering on the field. The boy came closer and saw a stick stuck in the ground. People challenged each other to pull out that stick. Everybody tried, but nobody succeeded. “Can I try?” asked the little boy. The crowd laughed mockingly. The boy wanted to try his luck so he stepped forward and pulled out the stick. He could do it very easily. Everybody was dumbfounded. Suddenly, from the hole left by stick, water spouted out. It did not stop until it flooded the village. And no one was saved from the water except the little boy and the generous old woman who gave him shelter and meal. As she told him, he used the “lesung” as a boat and picked up the old woman. The whole village became a huge lake. It is now known as Rawa Pening Lake in Salatiga, Central Java, Indonesia. Long, long ago, when the gods and goddesses used to mingle in the affairs of mortals, there was a small kingdom on the slope of Mount Wayang in West Java. The King, named Sang Prabu, was a wise man. He had an only daughter, called Princess Teja Nirmala, who was famous for her beauty.However, she was not married. One day Sang Prabu made up his mind to settle the matter by a show of strength . After that, Prince of Blambangan, named Raden Begawan, won the competition. Unfortunately, the wicked fairy, Princess Segara,fell in love with Raden Begawan and used magic power to render him unconscious and forget his wedding. When Sang Prabu was searching,Raden Begawan saw the king and soon realized that he had been enchanted by the wicked fairy. The fairy could not accept this, so she killed Raden Begawan. When Princess Teja Nirmala heard this, she was very sad. So a nice fairy took her to the Kahyangan. The story goes that on certain moonlight nights, one can hear the sound of music in the air above from the top of the mountain. It indicates that Sang Prabu and his daughter have not met each other till dawn when it is time for them to part and to meet again on another moonligh. There was once a young shepherd boy who tended his sheep at the foot of a mountain near a dark forest. 1 It was lonely for him watching the sheep all day. No one was near, except for three farmers he could sometimes see working in the fi elds in the valley below. The men ran to meet him, and after they found out there was no wolf after all, one man remained to talk with the boy a while. The boy enjoyed the company so much that a few days later he tried the same prank again, and again the men ran to help him. A few days later, a real wolf came from the forest and began to steal the sheep. The startled 6 boy ran toward the valley, and more loudly than ever he cried, “Wolf! Wolf!”. But the men, who had been fooled twice before, thought that the boy was tricking them again. So no one came to help the boy save his sheep. Moral: If you often don’t tell the truth, people won’t believe you even when you are telling the truth. 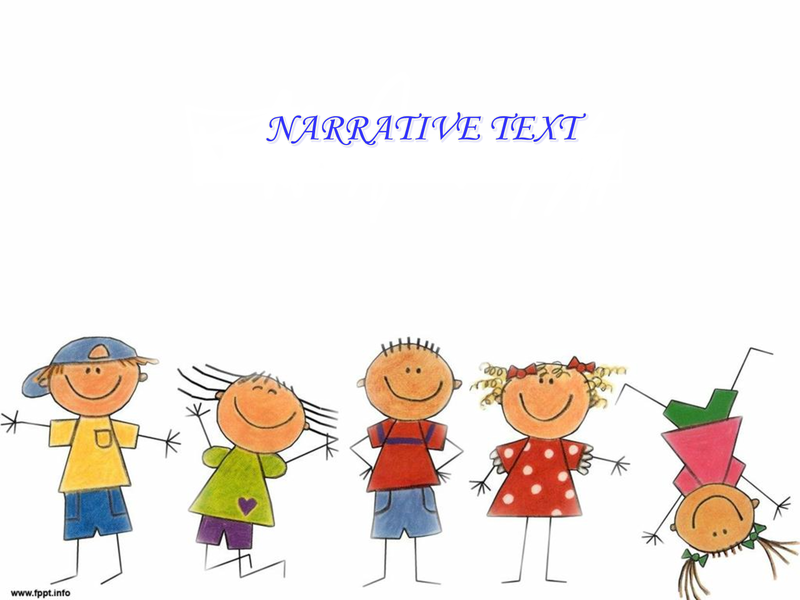 0 Response to "NARRATIVE TEXT"